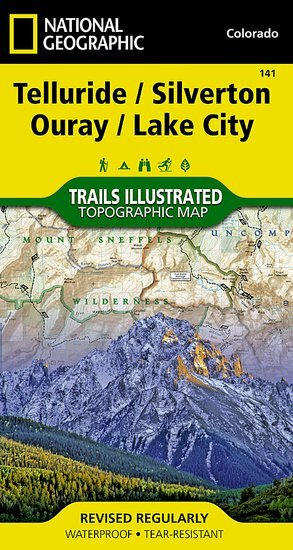 Trails Illustrated Telluride /Silverton /Ouray /Lake City Trail [ti141] - $10.95 : Trail Explorers Outpost, Keeping the Adventure Alive! 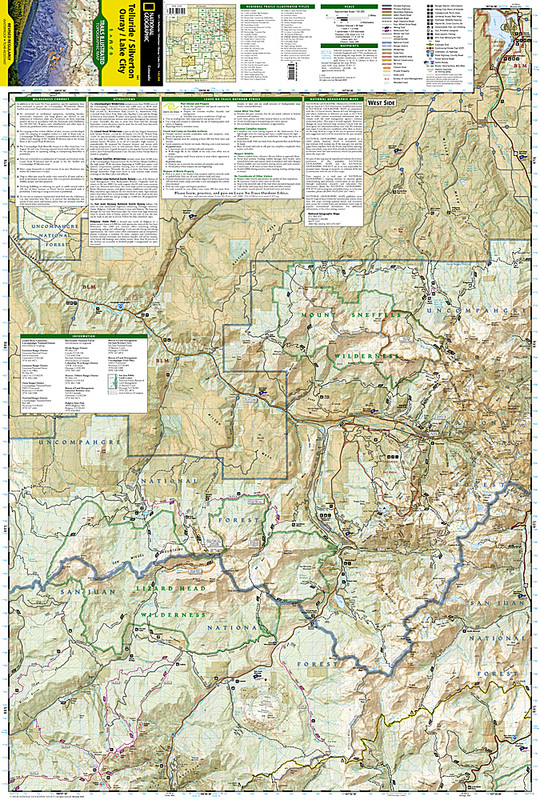 Coverage area includes parts of San Juan and Uncompahgre national forests; south San Juan Mountains; Lizard Head, Mt Sneffels and Uncompahgre wilderness areas; Calico National Recreation Trail; portions of the Colorado Trail; the trail networks at Coal Bank Pass and Silver Jack Reservoir; and the cities and surrounds of Telluride and Ouray. 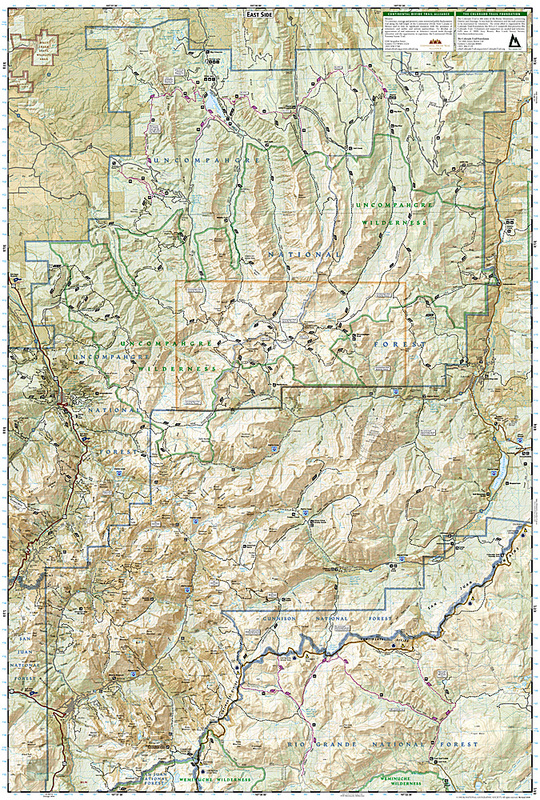 14ers: Mt Wilson, El Diente Peak, Wilson Peak, Mt Sneffels, Uncompahgre Peak, Wetterhorn Peak, Redcloud Peak, Sunshine Peak. Includes UTM grids for use with your GPS unit.